I’m telling all my friends. 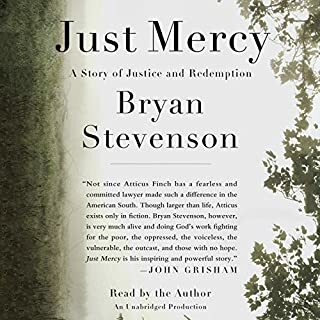 Thank you for this book Bryan Stevenson. It was inspiring, heartbreaking, and hopeful. And thank you for fighting for the poor and marginalized. I’m telling all my friends to read this book. It’s life changing. How have millions of American Christians come to measure spiritual progress in terms of their financial status and physical well-being? How has the movement variously called Word of Faith, Health and Wealth, Name It and Claim It, or simply prosperity gospel come to dominate much of our contemporary religious landscape? 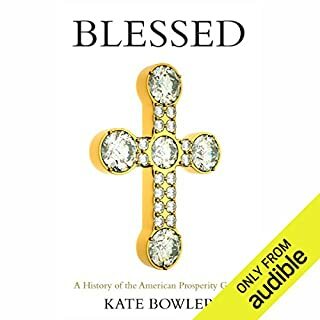 Kate Bowler's Blessed is the first book to fully explore the origins, unifying themes, and major figures of a burgeoning movement that now claims millions of followers in America. A necessary history that helped me better understand a large part of the global church and influence of this popular theology. Every time I'd tell people that I was reading a history of the American prosperity gospel they'd begin to ask questions and share stories. And they always asked something like "well, what does she say? Does she say it's bad?" To which I would have to respond "Well, SHE doesn't really say it's bad. She just lays out the history and the facts on the message, the different expressions of it and a bit of the stories the main characters and then let's you decide!" That's one of the things I appreciated about it - It wasn't judgemental or bitter, yet it did describe some of the more troubling events and expressions of the last 50 years. I really enjoyed this book and felt like I was taking an extremely interesting history class that ended with me thinking about my own faith and religious history in a fresh way. Thank you Kate Bowler! If you are curious as to what to expect - I got the audiobook after reading Kate Bowler's New York Times article called Death, the Prosperity Gospel and Me - take a look at it and then get the book if you want more! 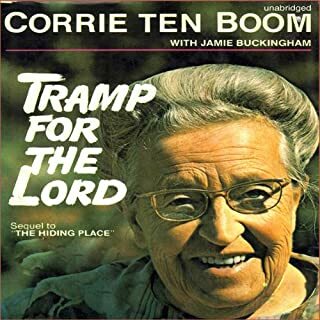 Corrie ten Boom's simple faith and deep love for God are contagious. Her stories are moving and her applications simple. She doesn't pile on the guilt and yet she makes me want to work harder then ever before for God! It might help awaken your first love! Like staring into a microscopic mirror. I heard a speaker say "if you are pointing your finger at someone else, you need to realize that three fingers are pointed back at yourself." That might be the best way to describe this book. It constantly turns it back on the reader to seriously examine their own problems and areas of self deception. This book was recommended to me from a speaker and author whose focus is leadership. 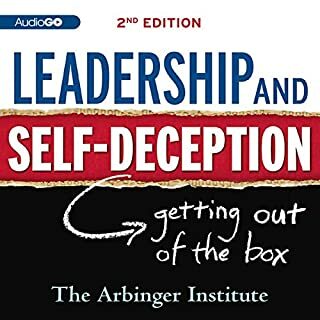 I think it is a great listen for all developing leaders (which is hopefully every leader). I Couldn't "Put it Down"! 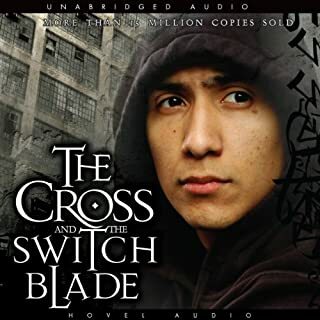 Would you listen to The Cross and the Switchblade again? Why? Paul Michael did a great job narrating it. His character voices were just right; not too extreme, but enough of a change to add to the story. As a believer, I found the stories of God's love and power changing lives inspiring. My guess would be that even if you don't follow Jesus, you would be touched by the compassion of the main characters and the power of love to change lives. There were three or four spots I found myself tearing up because of the scene. I can't recommend this book enough. It was so inspiring and challenging. And a very easy listen, thanks to the writing and narration.